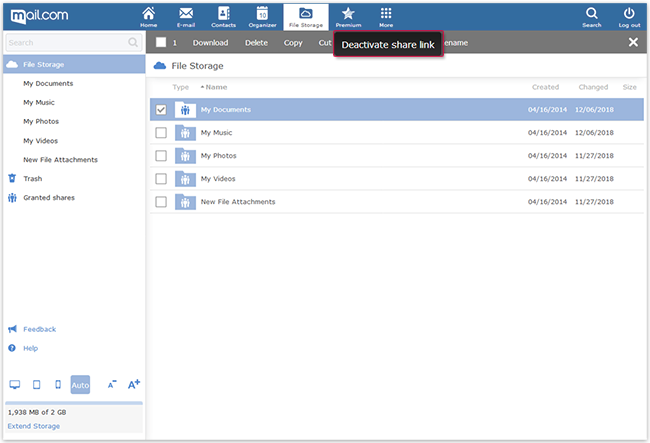 If the contents of a shared folder are outdated or no longer needed, you can deactivate the link that is directed to the folder. If the contents are outdated and no longer needed, you can deactivate the share for the folder. Select the folder whose share you want to deactivate. In the Actions menu, click Deactivate share link. Confirm with Deactivate share link. The folder will still appear in your File Storage, but without the shared icon.